Germany and Australia have taken the lead in trialling ground traffic lights in the hope that those unable to prise their eyes away from their phones whilst walking will manage to restrain themselves from crossing a road in front of on-coming traffic. An expensive investment to accommodate “smombies” (that’s “smartphone,” combined with “zombies” if anyone needs to un-furrow their brow). I’m tempted to say that we let natural selection take its course, except that I’m also guilty of smartphone addiction. And it is an addiction. According to research by Tamir and Mitchell (2012), interaction on social media triggers a release of dopamine, making it an intrinsically rewarding activity. And for millennials, (definitions vary but for arguments sake, I’m referring to those born after 1984) the role of technology is having a significant impact on behaviour and competence in the workplace. What do people do when they are waiting for a meeting to start? How about on the train before and after work? How much longer do work tasks take with email interruptions? 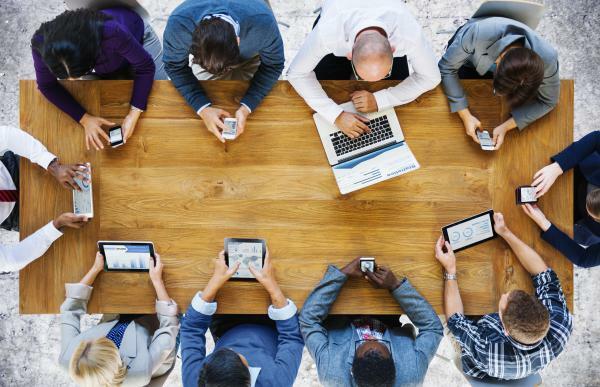 Checking smartphones, pouncing on email notifications and interacting with social media are commonplace behaviours at work, particularly for millennials. By 2020, millennials will account for over a third of the global workforce and this population is most motivated by financial reward, career security, having a sense of purpose, holidays/time-off and flexible working (just a short list then). Simon Sinek shares fascinating insights as to how parenting, technology, instant gratification and the environment have shaped this generation of people that are low in self-esteem and lacking in social skills and patience. I’m not a fan of labels, such as ‘millennials’, that generalise swathes of people; each person has their own motivations, values and personality but it would be ignorant not to explore the broader consequences of technology and the speed of today’s world. I’ll say no more because Simon’s overview is simply brilliant. Watch it. And see if you can watch it without checking your phone or email.